Tune in to R.E.A.L. Single Wives Radio as Koereyelle and V discuss the latest in Entertainment and Celeb news. 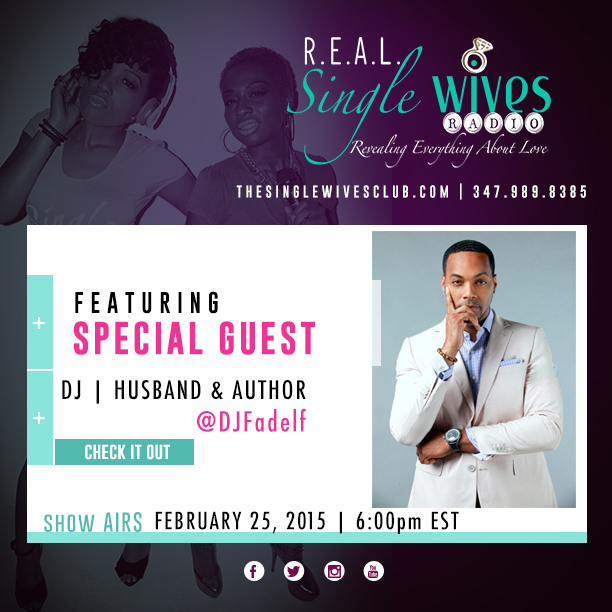 Our featured guest is Musician, Author and happy husband DJ Fadelf! He’s joining us for a special Mind of a Man episode to share advice on life, love, dating, decision making and marriage. Plus, get direct with Deya Direct at 6:45 EST!